What does SPD look like? The Spiral Foundation on What’s the relationship between DCD and dyspraxia? This webinar will present information on what interoception is, its neurobiological foundations and how it relates to common areas of dysfunction in children with sensory integration challenges. This live talk will address questions surrounding the where, when, how and why to successful collaboration between speech therapists and occupational therapists. This LiveTalk will discuss the collaboration of psychologists and occupational therapists in the treatment of children with complex trauma and attachment concerns. This live talk will address the questions surrounding the where, when, how and why to successful collaboration in environments where occupational therapists may be challenged to “be the expert” and must navigate cultural differences. This live talk will discuss the clinical reasoning behind interpretation of assessment data and determination of why, what, when, and how to treat vestibular dysfunctions such as vestibular hyper-responsivity, gravitational insecurity, and vestibular discrimination problems. 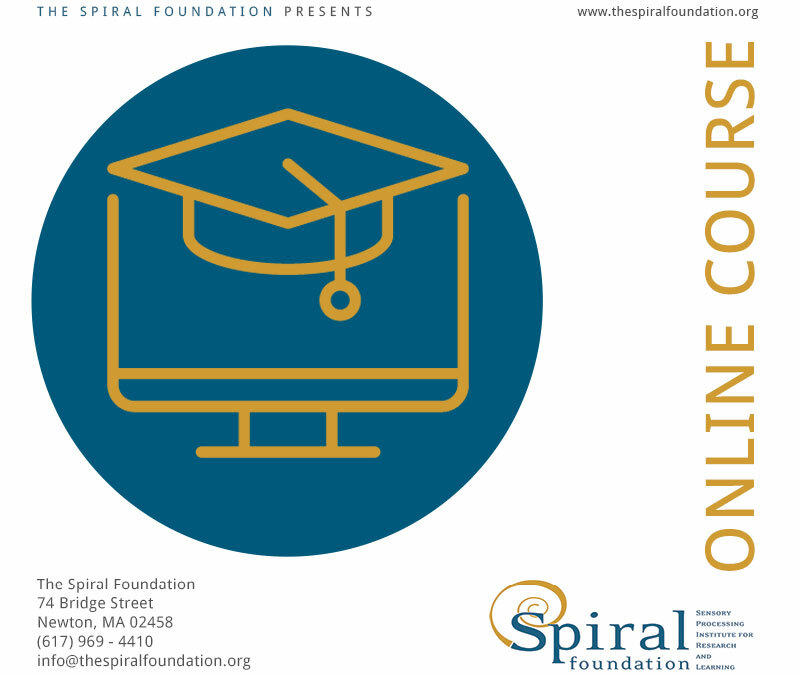 In this special video occupational therapist and Spiral Foundation co-founder Dr. Jane Koomar discusses her thoughts on the art of sensory integration intervention, discussing topics such as developing therapeutic intentions, joining with children, creating safe spaces for bonding, using language to facilitate children’s performance, holding hope and promoting joy, and creating new stories for children’s lives. This paper describes the influence of visual, vestibular and proprioceptive integration on adaptive behavior and learning. Participants of this webinar will learn what guidelines and criteria the IBBY committee uses, will have a chance to explore some of the awarded titles, receive a list of which award winning books are available in the U.S., and get ideas for how the books can be used with and by the children themselves. This webinar will provide an introduction to the GAS goal writing methodology and present its strengths and challenges for implementation in clinical practice. This webinar will provide participants with a basic understanding of primitive reflexes/primary movement patterns, how these patterns relate to postural development and functional skills, and the importance of thinking about these patterns in the context of sensory integration treatment. This webinar will introduce some core principles into different theories and models such as attachment theory, mutual regulation model, and reflective thinking to broaden our understanding of the parent child relationship. This webinar will examine how to assess problematic behaviors and identify the underlying sensory, praxis, and emotional factors which may cause them. This LiveTalk will discuss the clinical reasoning process behind the assessment and intervention of oral motor and mealtime behaviors in children with sensory processing problems using the comprehensive FOCUS Program approach. This LiveTalk will discuss the clinical reasoning behind interpretation of assessment data and determination of the why, what, when, and how to treat postural control challenges. This LiveTalk will discuss some of the ethical dilemmas faced by clinicians utilizing a sensory integration frame of reference and provide a clinical reasoning model for therapists to use to come up with answers to these questions. Case studies will be used illustrate these issues. This course will introduce practitioners to the fundamentals of sensory integration theory as it relates to visual, auditory, vestibular sensory processing; praxis and cerebellar functioning. This course will provide participants with the essential information needed for treatment of foundational mechanisms and praxis difficulties in children. This course will provide participants with the essential information needed for treatment of sensory modulation and discrimination difficulties in children. The Spiral Foundation is a 501(c)(3) nonprofit organization, and as such your donation is tax deductible.